Ladies and maybe one Gentleman, I am under budget for a thrift haul. My goal has always been to spend no more than $20 total or $3 per item. I averaged $2.70 an item even with Lilly Pulitzer and Ann Taylor in my haul! I'm thrifting less but I've been way over budget. Fifty bucks last month. Love my finds but yikes. My original intent when I started out on my thrift voyage was to go back to the Goodwill I went to last month because the merchandise and ambiance were pretty amazing. Lots of brands I love and it wasn't super crowded. However, America's Thrift opens early and I can head straight there after dropping V at school. Super convenient. 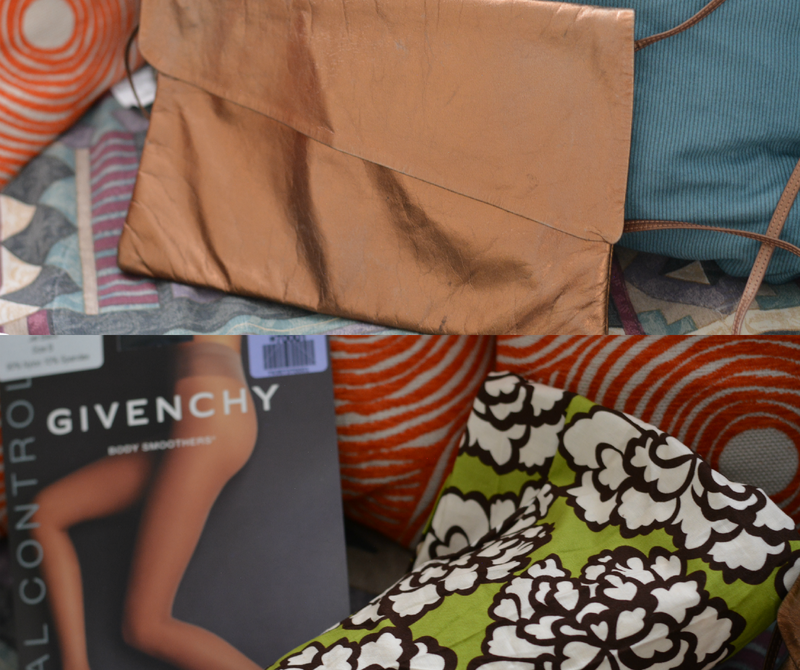 The bronze colored bag is similar to the reversible one in the This or That thrift haul. I like that this one has a strap and the asymmetrical flap closure. I think the Givenchy body shapers are deadstock because there was a huge selection of them. Hmmm, probably should have bought some for friends! Next time? I liked the colors in the fabric and I'm going to start sewing more. *pinky swear* Yes, I know I say that every year and have had it on vision boards for the past 3 years. Another one of those Target finds I vow never to get. It was $2 and I really liked the unique color combination so in the cart it went. Here's hoping it can hold up in the wash. The fit is so much better than the one I have so now I will need to donate that one. If you can fit a medium to an x-large, holla at me. 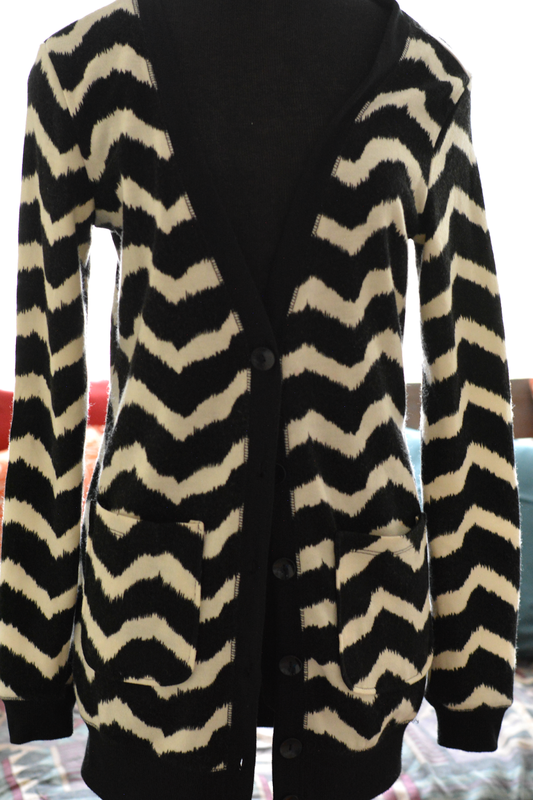 It's perfect for my new obsession with belted cardigans and I love chevron print. I saw the puppies peaking out of the aisle and had to see what it was. It appealed to my questionable fashion tastes and I like that! Part ugly. Part cute. Way to cute. It needs some edge. Anyhow, I was surprised to discover it was preppy and posh royalty -- Lilly Pulitzer. The cheapest skirt on their website is $100! Blue is not a color I'm naturally attracted to. 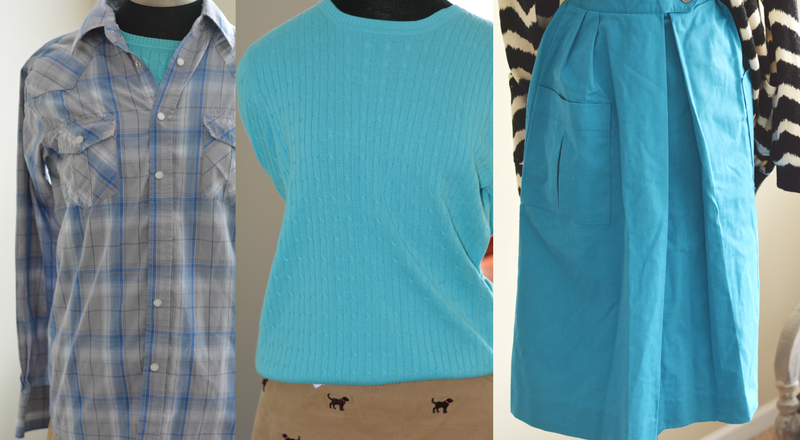 Funny I found 4 items (the Tarjay skirt included) that I liked. A cowboy shirt that's missing a button. Didn't know it at the time. I probably would have left it behind had I followed the thrift rule of thoroughly inspecting garments. I'll fix it before the year is out. Maybe. I'm still building my sweater collection so I'm glad to have found this one from Belk's Kim Rogers line. It's soft and roomy and will look great as part of the mom uniform. 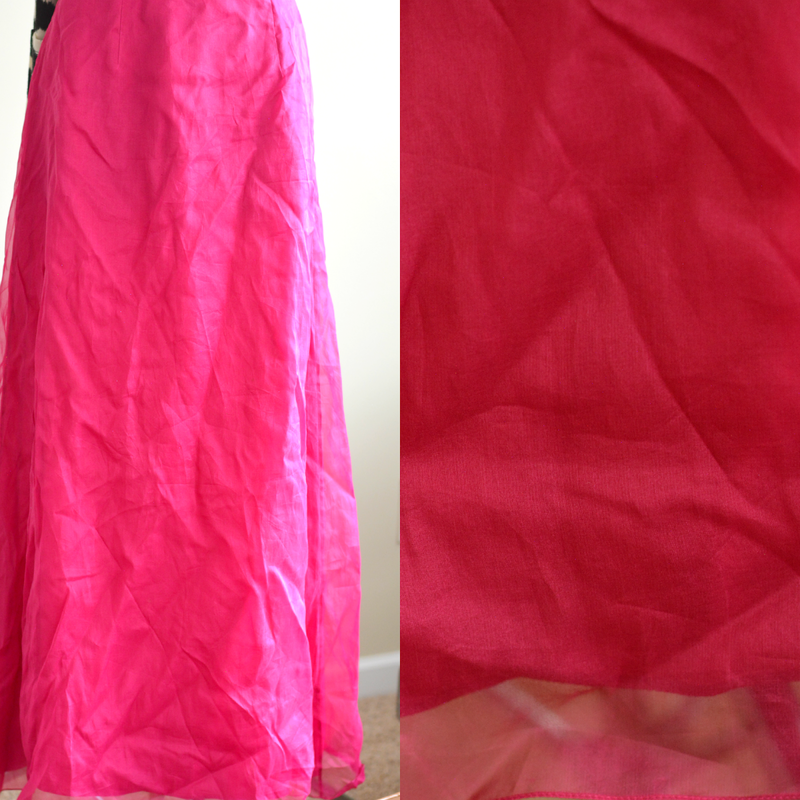 I love vintage skirts and this one has a faux front split, elastic waist, and big patch pockets. All details I love. It can work for all seasons too. 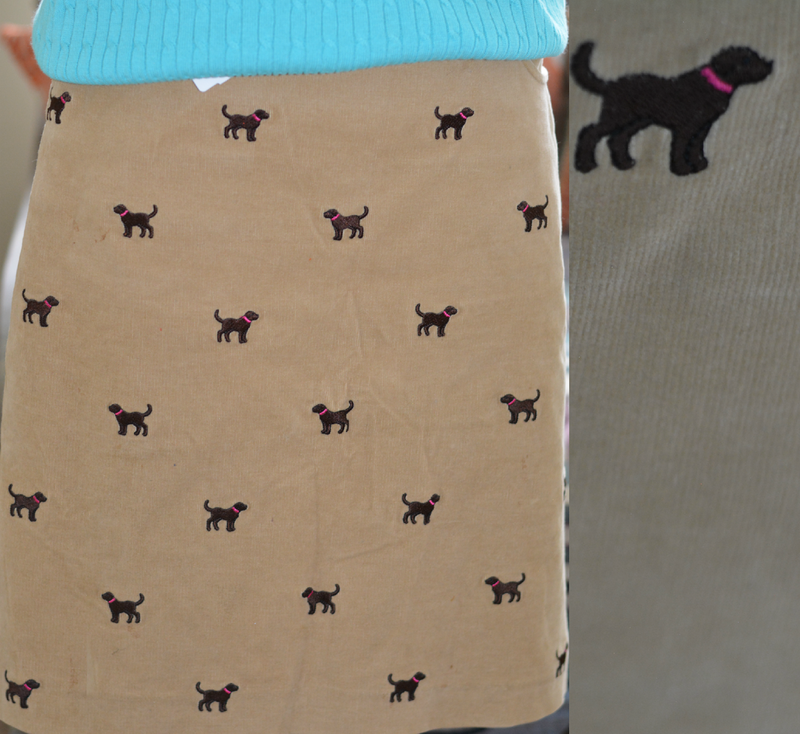 The Lilly Pulitzer corduroy skirt is just too cute. I'm so digging printed skirts lately (especially novelty prints). I haven't thrifted since the cold set in (I'm a weather wimp). But I know right now is actually a good time to go since other people may be weather wimps as well. Have a great weekend. I swear, you find great stuff everywhere. 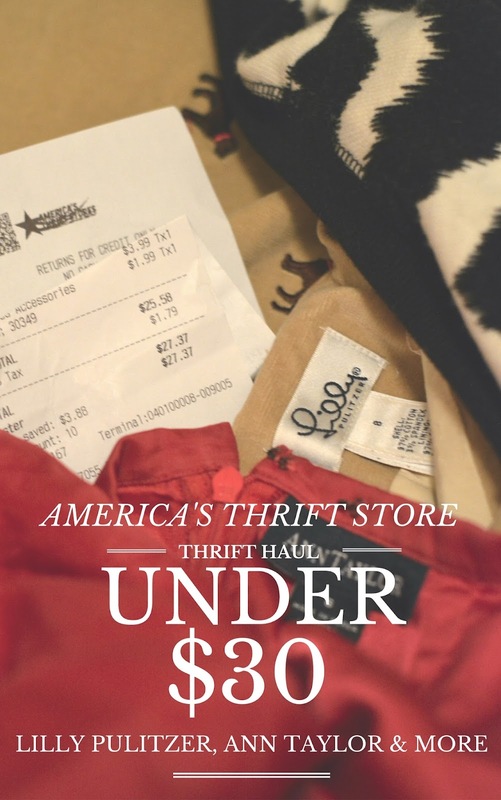 I feel so uninspired by our thirft stores here lately, but I bet you'd find something fantastic! 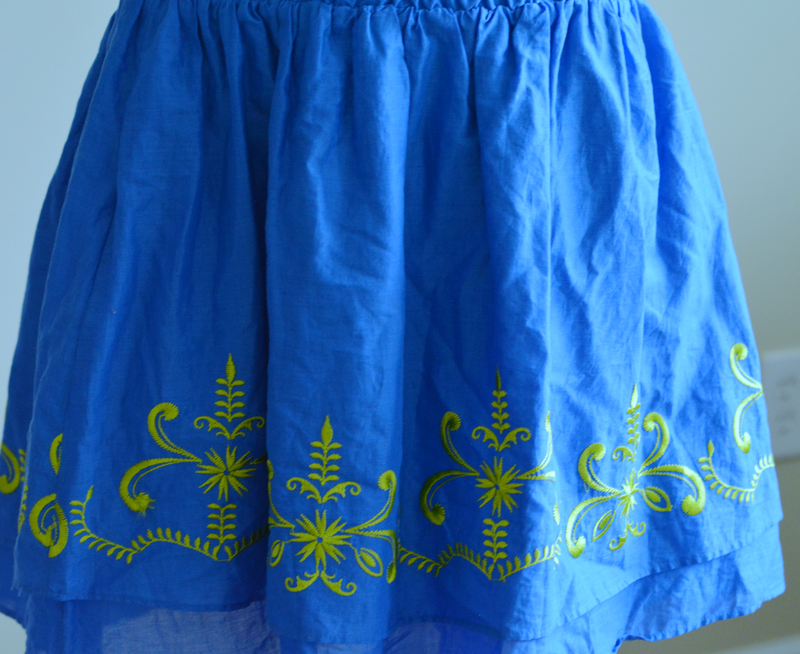 I love all the blue, especially the vintage skirt. You can pass the long pink skirt my way...love!! I am on a thrifting drought at the moment as my stores seem tapped out!! I wish there were more variety of stores in my area. Sorry to hear you're busting your budget but I love your haul, especially The Lilly Pulitzer skirt and the royal blue skirt! I wish I can purchase every item I thrift at less than $3 but Goodwill is a bit higher here in Sacramento. I just went out during MLK holiday and also bought a few awesome items from a local thift store here. Some are $2.50 because everything was 50% off! Wish it's like that everyday! I've been trying to thrift, but my thrift store trips have been busts lately. I think that I'm going to shake things up next month and venture to a few other neighborhoods and see what I can find. I might even hit up a few yard sales in the process.